After a Wonderful entrance and becoming the actual beacon of hope – movie-wise – to the DC Extended Universe, Wonder Woman helped prove with her movie that a good script and a great storyline can actually come out of DC Studios’ cinematic universe. Compared to the lacklustre, lazy and seriously pot-holed stories we’ve come to accept as the norm so far in the DCEU, Wonder Woman’s origin story actually proved that the studio was doing better, and although Justice League didn’t do that well at the box-office, the storyline proved that the DCEU is learning from its mistakes, even though both Wonder Woman and Justice League still had many plotline fails. 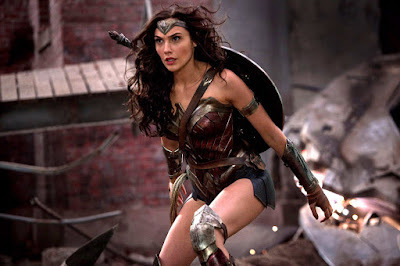 For Wonder Woman especially, her stand-alone story down the line is at risk of a serious and possible total eradication, mainly for one reason and one reason alone – the gods. In her origin story, Ares – the god of war – was said to have killed all the other gods. Not only does this raise so many questions, it actually threatens Wonder Woman’s storyline deeper than most people think. Firstly, Ares is strong, yes! But being strong enough to defeat all the gods is something that is extremely unlikely. In the comics and cartoons, especially in the hugely famous Injustice comics, Ares had to enlist the help of new gods like Darkseid to help him overthrow others, and both of them were unable to pull it off (thanks to Batman who stopped it from happening). So Ares being stronger than the likes of Zeus, Poseidon, Hades, etc., to the extent of being able to defeat them singlehandedly and go somewhat unscathed (because let’s face it, Zeus hit him with lightning that apparently just injured him, however, the very same lightning was used to kill him later only because it came from Wonder Woman,) is something that doesn’t even happen, especially when in DC, Ares is usually shown to have more contact with Wonder Woman and Themyscira than the old gods and Olympus. In all honesty, Wonder Woman’s storyline is nothing without interaction with the gods and demigods alike. People like Hercules, Apollo, and Zeus are characters that are always intertwined in the Wonder Woman storyline, so with them all pronounced dead and being reduced to cameos like we saw in Justice League, it’s not good enough for Diana Prince’s future in the DCEU. Also, it begs the question of how Steppenwolf was able to hold back attacks from the old gods (including Zeus and Apollo), a Green Lantern, the Amazons, and the Atlanteans only to be defeated by Superman’s Ice breath and Wonder Woman’s breaking his axe? One has to wonder just how strong the old gods actually were. Though the DCEU has gotten better with its scripts, it still clearly has a long way to go to match and rival the MCU, especially when you compare the origin stories of MCU superheroes to those of the DCEU. Without the old gods being present in Wonder Woman’s future, her fellow Amazons and Themyscirans will also slowly fade out of her story as well, because there is a chance that she will have no reason to go back home when there is no one to threaten them now that the old gods are dead, and the new gods (Darkseid, High Father, Orion, etc,.) usually do not have contact with the Amazons from popular comic storylines. Her major nemesis now will be Cheetah, who has no business with Diana’s home world.